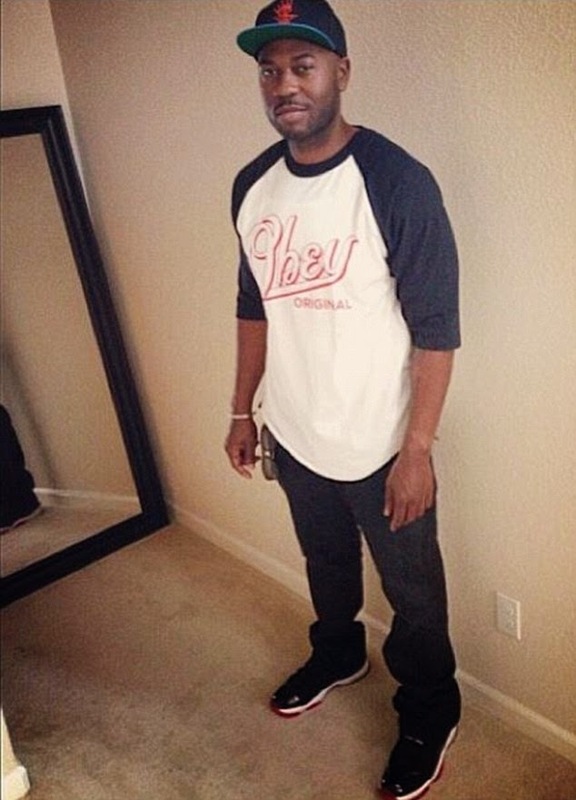 The arrests come after Eric Johnson of Orinda was shot and killed while backstage at the Under the Influence of Music concert Jeezy co-headlined with fellow rapper Wiz Khalifa at Shoreline Amphitheatre in Mountain View on Friday. The 38-year-old husband and father worked as a concert promoter for Bay Area musicians, but was not connected to the concert tour where he lost his life. The five other people arrested were Alexa Beason, 52; William Paul Gilmore, 48; David Kuniansky-Altman, 31; Kena Jermaine Marshall, 39; and Peter Arthur Maynard, 38 according to the Mercury News. All five were somehow employed on the tour. None of the arrested has been identified as suspects in the fatal shooting, Jaeger said. 'We haven't made any arrests for the homicide. These arrests were made during the execution of the warrant,' Jaeger said. Police, however, say they are still in search of a suspect described as between 5-foot-6 and 5-foot-8. Police believe the African American man in his 20s used a black pistol with a large magazine. A source told TMZ that the victim was shot backstage and was hit at least five times. Wiz, real name Cameron Jibril Thomaz, posted two tweets on Saturday afternoon, calling the killing a 'senseless tragedy' and added: 'Violence is never the answer. My prayers go out to the victim’s family. Police are asking anyone with information, video or photos about the shooting to call 650-903-6395 or email police@mountainview.gov. Anonymous text messages may also be sent to 274637 with the code MVTips in the text. Police are also asking people to use the hashtag #MVPDInfo in their Twitter and Instagram posts about the shooting so that they can examine relevant images and video.